and Clock Collectors. The bandstand on the village public green is a reconstruction of the 1875 original. The bandstand was dedicated by the community in 1981, and the brick memorial walkway was dedicated in 1993. Location. 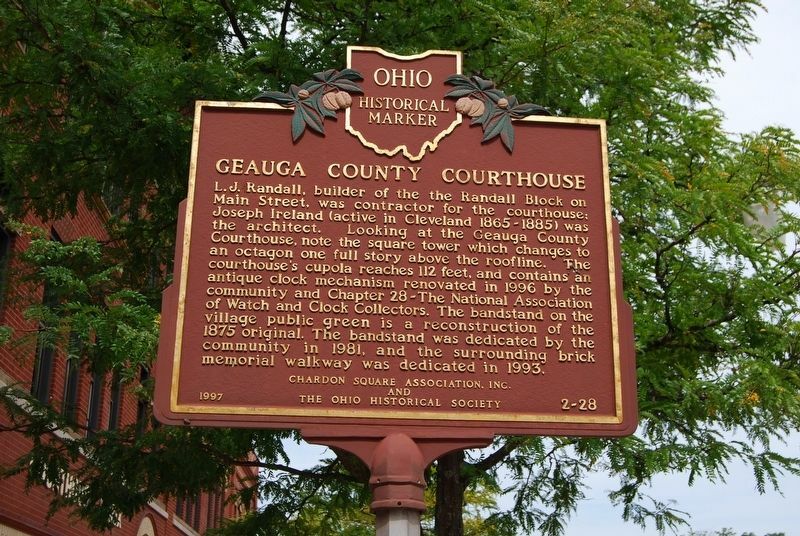 41° 34.962′ N, 81° 12.239′ W. Marker is in Chardon, Ohio, in Geauga County. 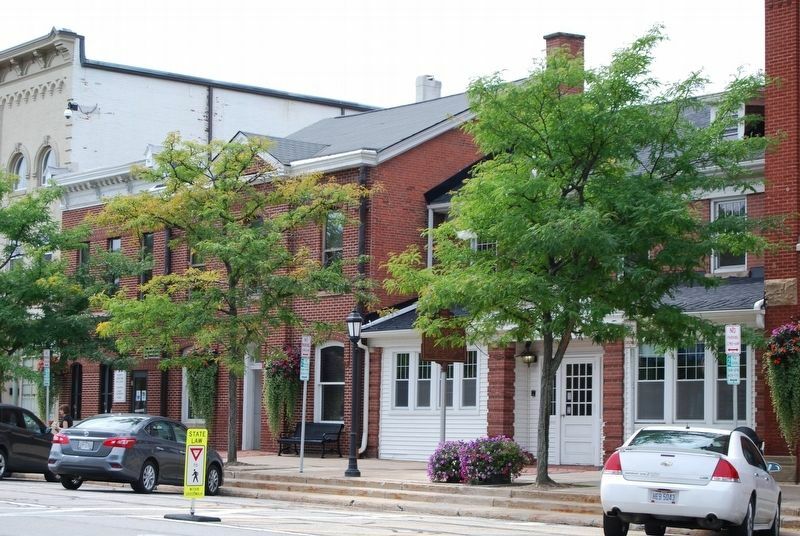 Marker is on Main Street 0.1 miles south of North Hambden Street (U.S. 6), on the right when traveling south. Touch for map. 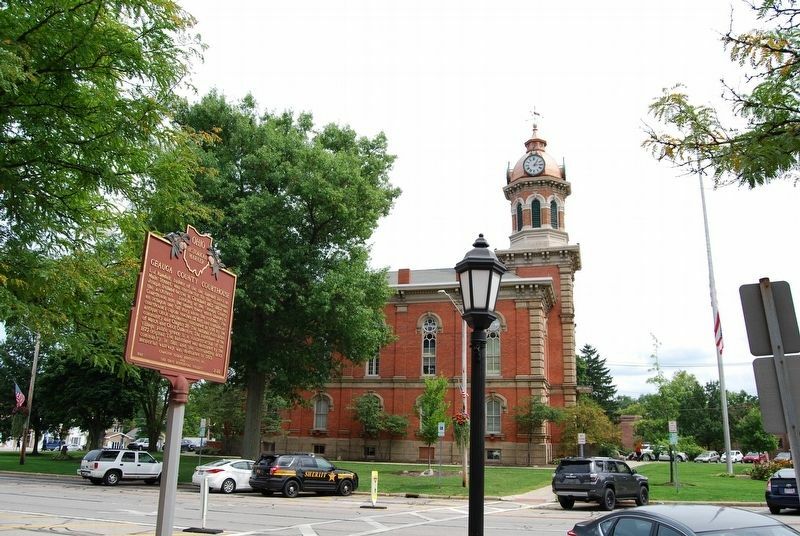 Marker is in this post office area: Chardon OH 44024, United States of America. Touch for directions. (approx. 8.1 miles away); Burton Congregational Church (approx. 8.2 miles away); Civil War Cannon (approx. 8.2 miles away). 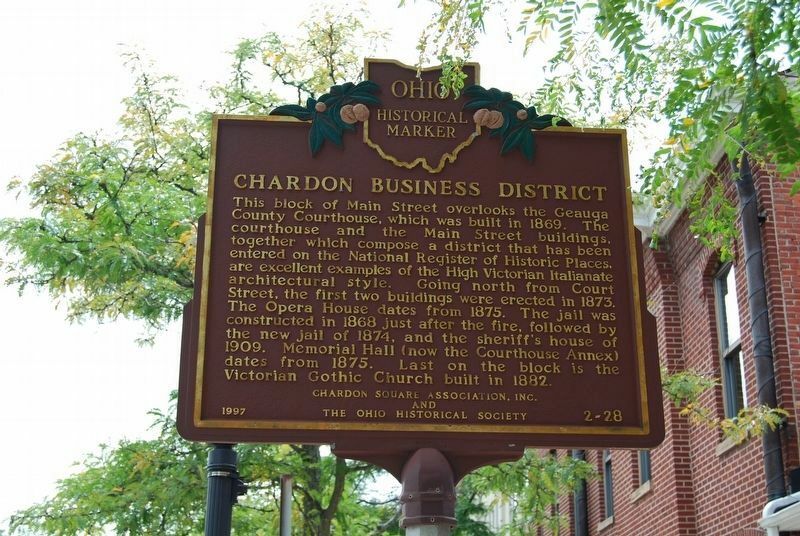 Touch for a list and map of all markers in Chardon. More. 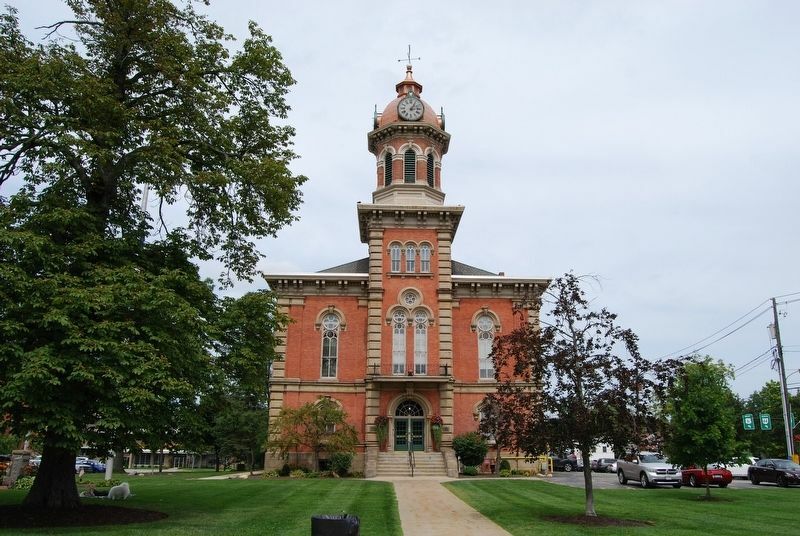 Search the internet for Chardon Business District / Geauga County Courthouse. Credits. This page was last revised on September 1, 2018. This page originally submitted on September 1, 2018, by Mike Wintermantel of Pittsburgh, Pennsylvania. This page has been viewed 71 times since then and 9 times this year. Photos: 1, 2, 3, 4, 5. submitted on September 1, 2018, by Mike Wintermantel of Pittsburgh, Pennsylvania.